The most listened to show by award winning radio personality, Eve Parkes on Zimonline Radio today goes frank with Betty Makoni. 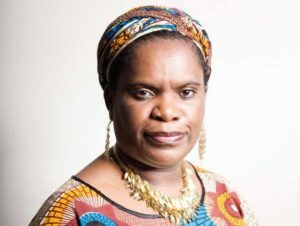 For a week Eve Parks has been reading the new published book by Betty Makoni, A Woman, Once a girl-Breaking Silence and at the end of it she sent a message to Betty Makoni that some issues in the book must be openly discussed and reach a wider audience. The show details are posted here. Eve Parkes will be at the launch of the Book, A woman, Once a girl, Breaking silence in London on 8 M arch and she will speak on a panel dubbed Young women, Once girls to include some top young women like Stephanie Chiyangwa, Gloriane Francis, Eve Parkes and Lorraine Chinouriri whose lives and experiences and achieving something from focus, determination and hard work inspire many. It looks like a movement is in the making with young and old women from Zimbabwe using social networks and the internet to empower each other and reach out for their betterment. This is social media for social good.